Continuous, advanced training has become an essential requirement as librarianship has become increasingly specialized and as technology has become a central component of a librarian’s work. The formal recognition of such advanced and specialized training is critical to the provision of quality library service and in the struggle to increase status and compensation for library workers in libraries of all types. Statistics show that salaries for librarians are significantly lower than those of other technical workers with comparable education and responsibility and also generally lower than those of teachers. The salaries of other library workers are even lower, often at or near the poverty level. This inequity has a significant impact on the lives of library workers, and it also has an impact on the quality of library service in America. With nearly 60% of librarians expected to reach retirement age within the next 20 years, this compensation gap and growing shortage of trained librarians will impact every school, college, university, city and town in the U.S. The purpose of the ALA-Allied Professional Association (ALA-APA) is “to promote the mutual professional interests of librarians and other library workers.” As a professional association, the ALA-APA will be exclusively devoted to a number of functions which cannot be undertaken to a “substantial” extent by the American Library Association, which is organized as a nonprofit educational association under section 501(c)3 of the U.S. Internal Revenue Code. These functions are (1) the certification of individuals in specializations beyond the initial professional degree and (2) the direct support of comparable worth and pay equity initiatives and other activities (e.g. legislative lobbying) designed to improve salaries of librarians and other library workers. As a 501(c)6 professional association, the ALA-APA will be able to serve as a vigorous advocate for America’s librarians and other library workers and will be able to offer certifications which will help promote individual status and the quality of library service. The ALA-APA will also serve as a national clearinghouse for information on pay equity and salary improvement issues and initiatives, while providing leadership in the development of successful, long range strategies for the improvement of salaries for all library workers. Market research completed for the ALA-APA indicates that keeping up with changes in the field, hiring and retaining highly qualified and motivated staff and compensation are all high priority issues for librarians. By more effectively meeting these needs, the ALA-APA will both further the mission of ALA and help increase ALA membership. As a 501(c)6 professional association, the ALA-APA must be self-supporting and will do so by offering services, detailed in this business plan, that support its mission, are affordably priced, and are of real value to libraries and librarians. There is a long history of interest in expanding credentialing within the library profession. Credentialing includes accreditation, certification and licensure. The American Library Association has long been involved in accreditation. There is a long history of interest in advancing the status of librarians and other library workers — as measured by salaries, by pay equity and comparable worth, and by public acknowledgement of the vital role played by the people who make library services a reality. Evidence of this interest includes early work on job descriptions, the ALA “Decade of the Librarian” initiative, and establishment of the Pay Equity Committee. In the present information-dominated society, the need to recruit a new generation of librarians and library workers has heightened the demand and the level of discourse. “Accreditation is the process of recognizing an educational institution as meeting established levels of quality (standards) in the conduct of its program. In accreditation, the recognition goes to the institution, not to the individual completing the program. In many instances it has become common practice, although highly inaccurate, for the recognition to be treated as though it were a statement about the individual. Thus, “graduation from an ALA accredited program” is a frequently used employment criterion or minimum qualification. The presumption in this instance is that all individuals meeting this standard have achieved some common minimum level, when actually it is the program they have completed which has achieved at least a minimum level.” (Summers) While a pattern of moderate ALA activity and interest exists, prior to 2000-2002 there is also a pattern of frequent stops and starts — the result of both ALA’s overarching focus on library roles and library-related policies, and of increasing concerns related to organizational tax status as government scrutiny of tax-exempt organizations increased during the late 20th century. Licensure, a “process under which a person is permitted to engage in professional practice,” (Summers) is uncommon in the library arena, except among school library media specialists, who are often state-certified or licensed. Licensing is not typically an association-based practice but a governmental practice. Further, licensing generally represents a minimum level of preparation for entry into professional practice. In 1999, the [1st] Congress on Professional Education recommended that ALA “address the need to improve salaries.” In 2001, ALA president Nancy Kranich and the ALA Executive Board, responding to the growing volume of discussion within ALA, appointed a special task force to examine issues related to the Status of Librarians and to make recommendations. Reporting in 2002, the Status Task Force recommended that the allied professional association, recently authorized by the ALA Council (2001 Annual Conference) to enable certification in specializations beyond the initial professional degree, be broadened to undertake activities directly related to the status and salaries of librarians and other library workers. Certification, by contrast, has long been debated within ALA and within the profession. The Medical Library Association, for instance, maintains an Academy of Health Information Professionals, requiring the achievement of a certain level of professional growth beyond the initial professional degree. Certification — “a process of recognition which attaches to and is related to the individual” (Summers) — is a commonly-used strategy in many professional fields, such as accounting. While certification may be state-based (e.g. for school library media specialists), certification processes are often developed and maintained by national associations. Also in 2001, ALA president-elect Maurice J. (Mitch) Freedman appointed a special presidential Better Salaries Task Force. Through rapid development of an effective network of librarians and library workers, the task force compiled a significant body of information and supported the development of a “tool kit” for individuals involved in advocacy for better salaries. In the summer of 2002, the Better Salaries Toolkit was released by the newly-formed ALA-Allied Professional Association. Professional bodies certify at both the point of entry into the profession and subsequently. The ALA-APA proposes to certify individuals in specializations beyond the initial professional degree. In other words, recognizing the long-standing tradition of treating graduation from an ALA-recognized graduate program of LIS education as the criterion for entry into the profession, the ALA-APA certification would recognize “acquisition of a specialized body of knowledge that either was not available at the entry level or was not accomplished at the entry level.” (Dalrymple) Such certification fulfills two primary purposes: (a) establishing a standard for competence in a particular specialization (b) recognizing professional development and achievement The experience of the Better Salaries Task Force demonstrates the potential value of aggressively gathering and disseminating information across a broad range of organizations. Additional discussions with leaders from organizations representing library employees have pointed to the need for shared job descriptions as a support for salary negotiations and comparable worth cases. There is little focused, direct competition within the library association environment. While the Medical Library Association offers recognition for professional achievement beyond entry into the profession through their Academy of Health Information Professionals, no other national organization is structured to offer individual certification in a broad range of library specializations beyond the initial professional degree. Likewise, while many library associations have an ongoing interest in the status of their member, no other national library association is formed specifically to address those “mutual professional interests” and to advocate on their behalf. In contrast, many other professional groups — notably in medicine and law – – have chosen to organize as 501(c)6 professional associations, with allied 501(c)3 foundations addressing fundraising and other educational and/or charitable concerns. International, national, state and local organizations — including labor unions as well as municipal and academic employers — often advocate strongly for “mutual professional interests” — including salaries, pay equity and comparable worth. Here the role of the ALA-APA is seen as supportive, not competitive. The ALA-APA role would be to provide information, consultation and other resources to support and strengthen local efforts. In the information arena, ALA, ARL and other national associations — both within and external to the library community — offer a broad range of services, including salary data and comparisons. ALA-APA’s unique contribution to this mix will result from its focus and its ability to partner with both employers and employee organizations in support of better salaries, comparable worth and pay equity. WHO DOES THE ALA-APA SERVE? The ALA-Allied Professional Association will serve three primary groups: (1) Individual professionals seeking national certification in a specialized area as a means of increasing compensation, changing specializations, enhancing mobility and/or enhancing professional performance. (2) Employers — library trustees, library directors, school administrators, and other library administrators (e.g. human resources directors) — seeking to increase salaries, and to recruit and retain, in a competitive marketplace, the highly-motivated, highly-skilled librarians and other library workers required for excellent library services. (3) Employee groups — including labor unions — seeking to leverage their work on behalf of better salaries, pay equity and better status through access to shared strategies, shared data and focused analyses. Services provided by ALA-APA fall within two broad groups: (1) certification of library personnel, including application fees and (potentially) some ancillary materials; (2) information gathering, analysis and distribution — including subscription services, specialized reports, consultation and advocacy support — associated with the improvement of salaries for library workers. The pilot effort will be the Certified Public Library Administrator (CPLA) program, building on a business plan, standard for specialized professional practice and preparatory course development initiated by three divisions of the American Library Association (PLA, LAMA and ASCLA). Interviews with 50 randomly-selected public library directors and trustees, conducted as part of the market research for ALA-APA, showed that 54% believe certification would be beneficial; 62% believed the specific pilot program (CPLA) would enhance a public librarian’s chances of being hired. (A) Development and dissemination of informational resources and research reports which will increase the effectiveness of public officials, library trustees, library administrators and library employee organizations in salary negotiations and in pay equity/comparable worth initiatives and studies. It is anticipated that, based on the success of the pilot program, other specialized certification programs will follow. Certification offers potential benefits to librarians in all types of libraries and in many specializations — well beyond the initial pilot program. Future certification programs would be based on standards for professional practice developed by divisions of the American Library Association within their ALA Council-delegated areas of responsibility. Future areas for specialized certification might be focused on the specific service strategies and resources appropriate to particular users (e.g. children, young adults, new adult readers), on the application of technology to library services and resources, on library instruction in either academic or public settings, etc. Most libraries do not have access to data necessary to initiate or negotiate comparable worth or benchmark studies, proven methods of improving salaries for library workers. (a) Research points to the success of benchmark and comparable worth efforts where employers have been able to fully undertake and implement them (Hundley)(England). (b) Research also shows the difficulty in obtaining relevant data and models (Seaman). The pilot effort here has been the Better Salaries Toolkit. Under this plan, the Toolkit would be supplemented by a growing series of reports and studies designed to support local initiatives and efforts. Note that the training needed to meet the requirements for certification may be offered by ALA and its divisions, by graduate programs of library education, by state and regional library and school library media associations, by state library agencies or by other organizations. Continuing professional development could be delivered through in-person or web-delivered courses. The ALA-APA Business Plan includes no assumption regarding the source, nature, or amount of continuing professional development necessary. Revenue from such training programs would go to the provider; it is not included in the ALA-APA Business Plan. Nevertheless, continued expansion of continuing education offerings relevant to the area of specialization is considered vital to success. Anticipated reports include: (1) Standard job descriptions — These are valuable in reclassification initiatives, benchmark and comparable worth studies, but are difficult and costly for individual libraries and library employee organizations to collect and analyze. (2) Detailed, aggregate statistical information across a range of libraries, organizations and positions — Reports would be issued on a quarterly or semiannual basis, including comparisons among libraries and other comparable public and private sector positions. Similar services are a standard feature of many industries and sectors, providing reliable market estimates. (3) Special studies focusing on legal changes relevant to library managers, recruitment issues, staff development and other issues identified through ongoing needs assessment. Some groups of library workers, in positions not requiring the ALA-recognized graduate degree, have expressed interest in entry-level certification for positions such as library technical assistant. While that represents a possible area of future expansion, it is not incorporated into the initial plan. It is projected that by year five, 350 subscriptions to these reports will generate $96,250 in annual income. Proposed pricing is consistent with salary surveys in which ALA participates and with current purchases of the ALA Salary Survey. It is projected that the pilot certification program will generate $89,375 in annual revenue by year five. This assumes 325 individuals annually at a basic fee of $275. (B) Consulting and training services to assist libraries and library staff groups undertaking comparable worth studies or other activities designed to improve salaries. ALA-APA consulting services would be available at market rates to assist and advise trustees, administrators and employee groups considering initiating comparable worth studies, as well as those participating in such studies or other negotiations related to salary equity. Training would also be provided to library groups, based on the Toolkit and other APA resources and tools. Research indicates the significance of a thorough understanding of the culture and structure of the field (in this case librarianship) in successfully negotiating a pay equity study (Seaman) and points out that value choices are made at each step of a comparable worth/pay equity study and implementation — so that consultation cannot be merely technical (Gardner and Daniel). It is projected that these consulting services will generate $35,000 in annual income by year five. ( C ) Subscription-based dissemination of information which will increase the effectiveness of library administrators and human resources officers seeking to enhance the workplace, increase salaries and attract increasingly scarce librarians and other skilled library personnel. The ALA-APA will offer a new and expanded subscription publication which will replace Library Personnel News, which is currently published by the ALA Office for Human Resources Development and Recruitment. This expanded electronic subscription product will provide a unique library focus/perspective on current human resources legislation, comparative statistics on salaries and benefits, and features on salary equity and improvement, recruitment, retention, negotiated settlements, success stories, and related employment topics. Under this plan, through a contractual agreement with ALA, ALA-APA will distribute the new subscription service to organizational members of ALA who are currently receiving LPN as a benefit of organizational membership. It is projected that 4,000 ALA-organizational subscriptions and 625 personal subscriptions to this online subscription service will generate over $120,625 in annual income by year five. Operating costs for the ALA-APA are based on a projected staffing level of 2.0 FTE (1 full-time director, 1 half-time research assistant, 1 half-time administrative assistant), direct operating costs, recovery of overhead costs by ALA, the purchase of other services from ALA and other providers (including data used in reports), and costs associated with support for ALA-APA committees. Projected year five annual expenses are $362,440. Under this plan, an initial loan of $250,000 would be made by ALA to the ALA-APA. Based on revenue and expense projections, the ALA-APA would become self-sufficient and begin repaying the establishment loan beginning year five. The loan would be repaid over a ten-year period, subject to market rate interest as required under IRS guidelines. As a 501( c ) 6, the ALA-APA must be a self-supporting entity and cannot be funded by ALA. In order to make the ALA-APA self-supporting, revenue will be generated through products and services, including research reports, a monthly newsletter, on-site consulting on comparable worth, and certification. Chargebacks will be utilized to systematically differentiate between ALA and ALA-APA activities. ALA chargebacks to the ALA-APA will include rent and overhead, professional services, data/research costs (such as those provided by the Office of Research & Statistics) and marketing/promotion costs associated with ALA-APA programs at ALA conferences, ALA-APA promotions in ALA publications, and ALA-APA related activities of ALA officers and staff. In addition, an estimated $48,750 in annual revenue is projected through a voluntary contribution from individuals — through the ALA membership renewal process and directly on the web site. ALA-APA will conduct a marketing campaign promoting the benefits of the ALA-APA. These contributions to the ALA-APA are not tax-deductible as charitable donations. It is estimated that 3,250 of ALA’s 63,700 members will contribute $15 to the ALA-APA in year one and subsequent years. On the expense side, the ALA-APA’s clear programmatic focus is reflected in a very targeted budget. In the initial operational phase, three positions (2 FTE) are projected: a full-time director, with a strong skills in salary/pay equity advocacy and consultation; a part-time research assistant, focused primarily on research to support advocacy for better salares/pay equity/comparable worth, and a part-time administrative assistant, coordinating with a professional certification body retained by the ALA-APA. Salary/benefits will total $130,841 in year three. Other major ALA-APA expenses incurred will be in the area of data/research ($12,000 in year five), professional services ($33,500 in year five), publication expense ($26,250 in year five), marketing and promotion ($13,700 in year five), and certification processing fees ($26,813 in year five). The ALA-APA will pay rent to ALA on space utilized and will pay overhead to ALA (at ALA’s standard government rate) to cover other costs (e.g. accounting, human resources ) — a total of $98,670 in year five. ALA-APA will also pay insurance and legal/audit costs. Year five non-salary costs are estimated at $231,599. While performance will be assessed on an ongoing basis, at the request of BARC, funding ($20,000) for an outside evaluation of the developing ALA-APA was included in anticipated budget for year four. ALA-APA services will be promoted through a variety of methods. The ALA-APA web site will provide a contact point for those organizations and individuals searching for information on library salary and equity issues and will direct users to appropriate services. Linkages from the web sites of and partnerships with other organizations promoting salary and equity issues will further disseminate information on ALA-APA services. Limited use of targeted direct mailings and broad use of email and e-postcards will also be used to increase awareness of the ALA-APA’s mission and specific services. Marketing will be critical to the success of the ALA-APA. ALA-APA users and subscribers will be surveyed on an ongoing basis to determine areas of interest and as individual reports are developed. This ongoing ‘market’ research will be the primary driving force in shaping the ALA-APA as it seeks to refine services that will be of increasing utility, value and effectiveness. Marketing will initially focus on salary equity related subscriptions and services. Certification services are dependent on the development of courses which will be marketed by the ALA Divisions and other providers such as library schools and consortia, who will derive revenue from these offerings. Promotion of these certification-related offerings and the concept of certification by the Divisions and other providers will be the primary method of increasing interest in and demand for ALA-APA certification services, coupled with ALA-APA promotion of the certification. Business plan revenue projections are based on market research conducted by ALA staff and outside consultants. This research has consisted of an analysis of comparable products and their utilization, where available, and by opinion surveys of ALA individual and organizational members and discussions with leaders of other library-related organizations identified as potential users of ALA-APA services. All revenue estimates are based on conservative projections in relation to the potential market. A Spring 2000 membership survey by the Public Library Association was sent to a statistically random sample of 1,000 respondents, selected from the current PLA membership. 531 completed questionnaires were returned, with 44.3% responding that they would be likely to enroll in a program to become a certified public library administrator. Additional data was gathered by asking both yes and no respondents to explain the reasons for their responses. Of note was the finding that one quarter of the 290 “no” responses indicated the respondent was already retired or retiring soon. Information on the costs and sales of comparable existing ALA services such as the ALA Office of Research & Statistics annual salary survey report and Library Personnel News has been used in generating initial projections for this business plan, as has information gathered on several salary surveys which ALA currently subscribes to as an organization. Research has also been conducted to confirm the role of pay equity studies in increasing library worker salaries. Fall 2002 market research was conducted by Lang Consulting Group. (a) In 50 interviews with public library directors and trustees, related to the pilot certification program (CPLA), 54% believed a certification program would be beneficial; 62% believed CPLA certification would enhance chances of being hired; 60% thought at least one librarian from their library would enroll in the CPLA program during the first year offered. (b) Based on a web survey of 700 librarians identified as potential applicants for the pilot certification program (CPLA), 45% believe certification program would be beneficial, 58% believe the pilot program requirements are reasonable, 54% think the $250-300 application fee is reasonable; 27% believed the proposed pilot certification program would enhance changes of being hired — and another 44% said “maybe.” Both library directors and potential CPLA candidates identified children’s services as a likely target for specialized certification. Additionally, library directors identified technology and potential applicants identified technical services as future certification areas. Lang Consulting Group interviews (Fall 2002) with 50 individuals in human resources positions in academic and public libraries identified the following top issues: recruiting and retaining staff (96%), compensation issues (82%), and employee and labor/management relations (78%). When asked about potential products and services, 86% indicated they would be likely to subscribe to reports on current issues, 78% to a monthly newsletter and 76% to statistical reports related to compensation. A monthly electronic newsletter at a subscription price of $100/year received a positive response from 71%. First, ongoing evaluation of services through surveys of librarians and library workers will be used as part of a formative evaluation process, to refine and improve services provided by the ALA-APA . This will be particularly useful in developing new certification programs, subscription service content, and statistical and special report topics. Where indicated, additional services may need to be introduced. Last, the ALA-APA must ultimately be evaluated based on its effectiveness in achieving the outcomes it was created to achieve: the improvement of salaries for library workers and the improvement of the quality of library service. While these outcomes are so broad that the impact of the ALA-APA in these areas cannot be gauged within five years, the year four evaluation will be able to suggest the value of the ALA-APA by surveying those libraries that have undertaken comparable worth initiatives, assessing the impact of these initiatives on salaries, and then assessing the perceived value of the ALA-APA and its services to those involved in these initiatives. Similarly, librarians participating in the certification program can be surveyed regarding the perceived impact of their certification on salary, employment and promotion, or enhanced job performance. 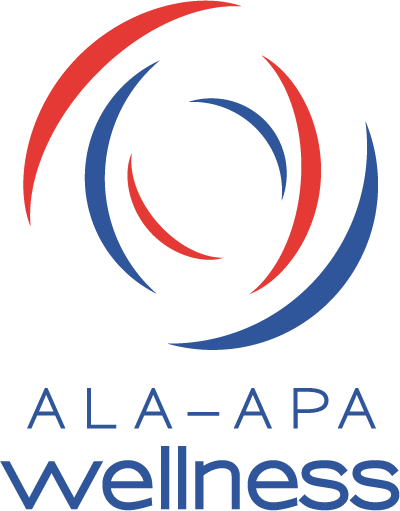 It is understood that the ALA-APA’s continued existence is directly related to the ability of the ALA and ALA-APA Council and Board to determine that the organization provides services sufficiently valuable to maintain financial self sufficiency and is perceived, and ultimately proven, to be achieving its outcomes and goals. The ALA-APA is incorporated in the State of Illinois and will operate as a tax-exempt organization under section 501 ( c ) 6 of the U.S. Internal Revenue Code. The ALA-APA is a separate legal entity from the American Library Association [501 ( c) 3] and provides services to ALA members and the field. The ALA-APA is governed by a Council and Board of Directors, the members of which concurrently serve as the ALA Council and Executive Board. It is governed under policies established by the ALA-APA Council and managed, within that context, by the ALA-APA Board of Directors. ALA and the ALA-APA will be part of a single consolidated audit as required by law, but ALA-APA expenses and revenues will be separately reported. Under this Business Plan, ALA will cease publication of Library Personnel News (LPN). ALA-APA will publish a monthly electronic newsletter with more focused coverage in areas such as salaries and comparable worth, and, under an agreement with ALA, will distribute subscriptions to ALA organizational members, who currently receive LPN as a benefit of organizational membership. Association of College and Research Libraries. Ad Hoc Task Force on Recruitment and Retention Issues. Recruitment, Retention and Restructuring: Human Resources in Academic Libraries: a White Paper. Chicago, IL. : Association of College and Research Libraries, 2002. Dalrymple, Prudence. ALA internal document, September 9, 1996. England, Paula. “The Case for Comparable Worth,” The Quarterly Review of Economics and Finance, volume 39,1999. Figart, Deborah. “Equal Pay for Equal Work: The Role of Job Evaluation in an Evolving Social Norm,” Journal of Economic Issues, volume 34, number 1, March 2000. Gardner, Susan E. and Christopher Daniel, “Implementing Comparable Worth/Pay Equity: Experiences of Cutting-Edge States,” Public Personnel Management, volume 27, number 4, Winter 1998. Hundley, Greg. “The Effects of Comparable Worth in the Public Sector on Public/Private Occupational Relative Wages,” The Journal of Human Resources, volume 28, number 2, 2001. Richards, Cindy. “Maine Becomes First State Requiring Pay Equity,” Womens Enews, 2000. Seaman, Scott and others. “Market Equity Tempered by Career Merit: A Case Study,” The Journal of Academic Librarianship, volume 26, number 4, July 2000. Will, Lou. “Labour Market Consequences of a Comparable Worth Policy,” Australian Economic Review, volume 32, number 3, September 1999. Wooden, Mark. “The Employment Consequences of Comparable Worth Policies,” Australian Economic Review, volume 32, number 3, September 1999.